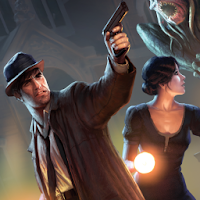 The tense excitement of Elder Sign is now available for Android! Elder Sign: Omens places you in control of up to four intrepid investigators, as they fight to keep all-powerful Ancient Ones from invading our world through a museum’s arcane exhibits! Copyright © 2018 - PlayHack Republic! - www.phrepublic.com.